Strength and Conditioning exercise Classes are suitable for beginners to intermediate levels. The instructor will guide you through each exercise, ensuring safe techniques are carried out at all times. 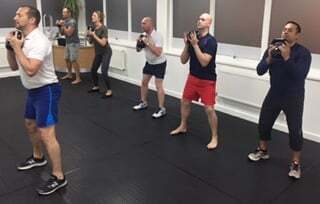 The class is run by an experienced personal trainer and strength and conditioning coach. The class will incorporate basic core moves, as well as full-body exercises to improve fitness, mobility, and strength. There is nothing better than full- body exercises to achieve full fitness and strength. Fun and motivational environment, integrating basic and intermediate techniques, whilst at the same time emphasising muscular endurance/toning, muscular strength, core stability, and flexibility. Each week the instructor will push you to achieve your very best!